This week Delta Kappa Gamma International announced their 2016 World Fellowship grants, established to provide opportunities for women from foreign countries to pursue graduate studies. In 2012 McGill University became a site for DKG International's World Fellowship grants. 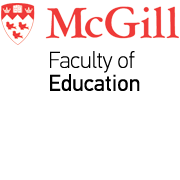 International students attending McGill can apply for the grant through Delta Kappa Gamma Province Quebec. Founded in 1946, the grants are part of DKG International's commitment to impact education worldwide. Yaxi Zhao, recipient of a 2016 World Fellowship grant, is a Master's student in our Department of Educational and Counselling Psychology. Yaxi Zhao's is currently studying issues involving youth gambling.